Leonard McComb was born in Glasgow and studied at Manchester School of Art and then at the Slade School of Fine Art from 1956 to 1959, and then did a Postgraduate in sculpture, also at the Slade, in 1960. He went on to teach at various art schools, including Oxford Brookes University, Sir John Cass College, Slade School of Fine Art, Royal College of Art and Goldsmiths College, and in 1974 he founded the Sunningwell School of Art, Oxford. Up until 1975 he destroyed most of his work. 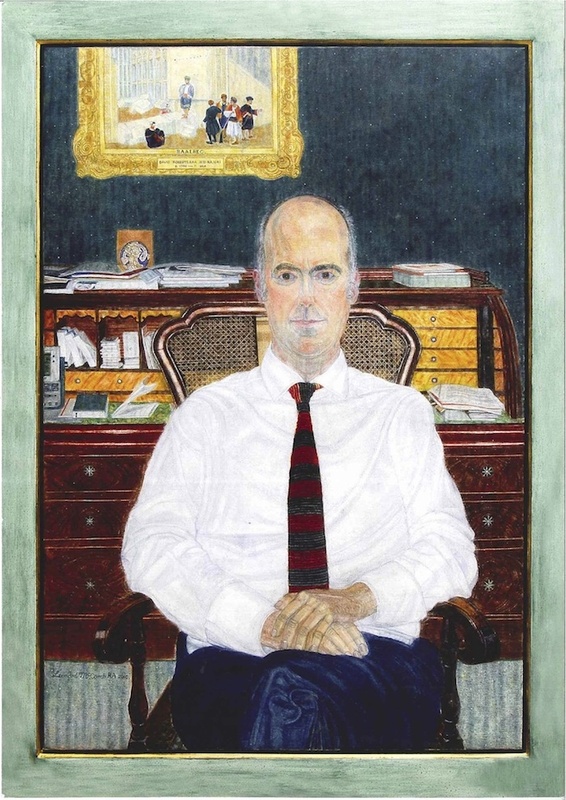 Leonard McComb was elected Royal Academician in 1991 and in 1995 was elected Keeper of the Royal Academy, placing him in charge of the Royal Academy Schools until 1998. McComb has received many major commissions for private and corporate collections throughout the UK, Europe and the USA. In 1999 he completed a commissioned portrait of the novelist Doris Lessing for the National Portrait Gallery, London. The following year he was selected by the Vatican to design a Jubilee Medal, featuring Pope John Paul II and the late Archbishop Basil Hume, for the worldwide series to commemorate the Millennium.